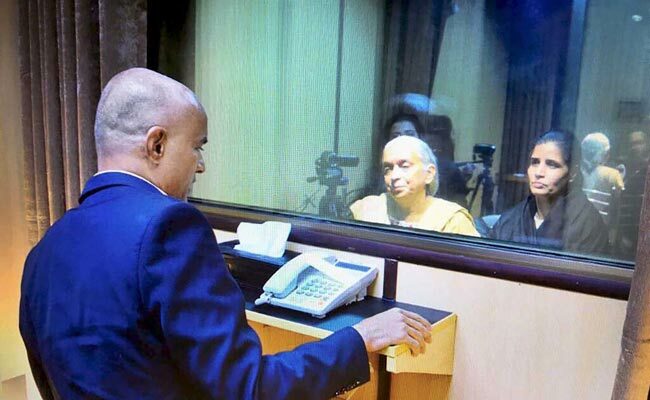 India has accused Pakistan of violating the mutual agreement on the Jadhav family visit and has also said Kulbhushan Jadhav appeared coerced and "under considerable stress" during the tightly-controlled interaction. 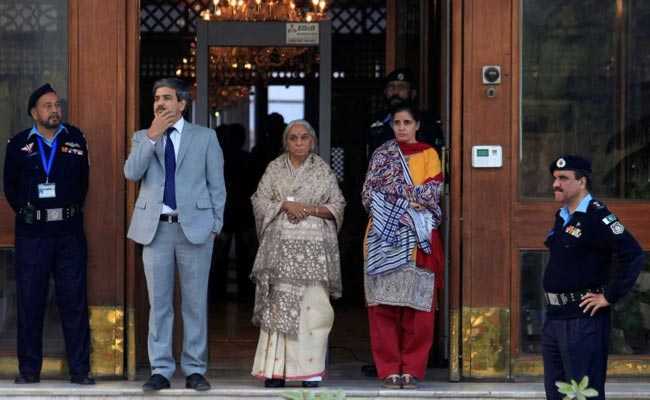 Kulbhushan Jadhav was forced to see his mother and wife in the form of "widows", without their mangalsutra, bindi and bangles, when they met in Islamabad on Monday, Foreign Minister Sushma Swaraj said in a stinging statement in parliament today on the way Pakistan treated the family of the former naval officer it has sentenced to death. 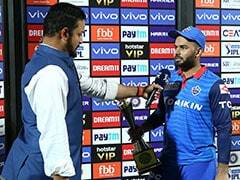 "Avanti Jadhav choked up as she told me the first question her son asked was - how is Baba (father)? Looking at me like this, he feared something bad had happened...he was reassured only when he saw his wife in the same state," Ms Swaraj said in an impassioned and hard-hitting statement in both houses. Pakistan, said Ms Swaraj, used the emotional reunion of a "mother with her son and a wife with her husband" after 22 months as a propaganda tool. "There was violation after violation of human rights. There was neither humanity nor goodwill. Pakistan should be condemned in the strongest words for this behaviour," said the minister, pausing more than once for sips of water. In the name of security, she said, Mr Jadhav's mother and wife Chetankul were forced to change and wear what was given to them by the Pakistanis. "His mother, who wears only saris, was forced to wear a salwar Kameez," Ms Swaraj to cries of "shame" from parliamentarians. "His mother told me she told the Pakistani officials she had never removed the mangalsutra, the symbol of her marriage...but they said nothing doing. This is the height of be-adabi (misbehavior)." 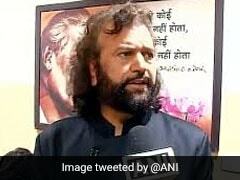 Cries of "Pakistan Murdabad (down with Pakistan)" rang out in the Lok Sabha. 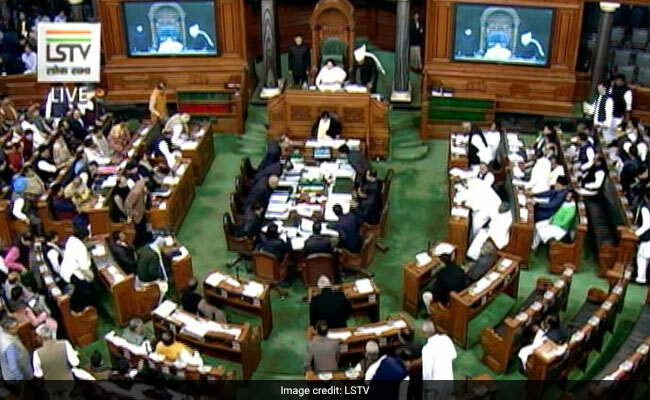 On Wednesday, members shouted slogans in the Lok Sabha of "Pakistan Murdabad (down with Pakistan)". Ms Swaraj described as "absurdity beyond measure" Pakistan's allegations on Chetankul Jadhav's shoes, which were taken away and never returned. "We were right in suspecting mischief ...they keep saying there was a camera or chip or recorder in the shoes. The same shoes passed checks by two airlines - Air India and Emirates. As they enter Pakistan, they have chips?" The minister said she was told by the family that Mr Jadhav "looked tense and under pressure". She said, "It was clear that he was tutored...his manner of speaking and behavior showed he was not in good health." Mr Jadhav interacted with his family for the first time since his arrest last year by Pakistan across a glass screen, through intercom. The women were not allowed to use their native Marathi language. When they did, they were repeatedly interrupted before the intercom was finally switched off. Kulbhushan Jadhav's family was harassed by the Pakistani media after they met him in Islamabad on Monday. After the meeting, the family's car was deliberately delayed so they would be forced to hear abuses and allegations from the Pakistani media, Ms Swaraj charged. Reacting to the statement, Congress's Ghulam Nabi Azad said: "This did not happen with Kulbhushan Jadhav's family but every mother and sister in India." Trinamool Congress lawmaker Derek O'Brien said: "We completely endorse every word of the statement and the spirit of the statement."